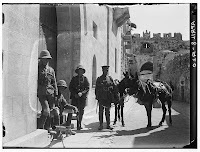 The Old City of Jerusalem is surrounded by four kilometers (2.5 miles) of walls built by the Ottoman Sultan, Suleiman the Magnificent, in 1540. 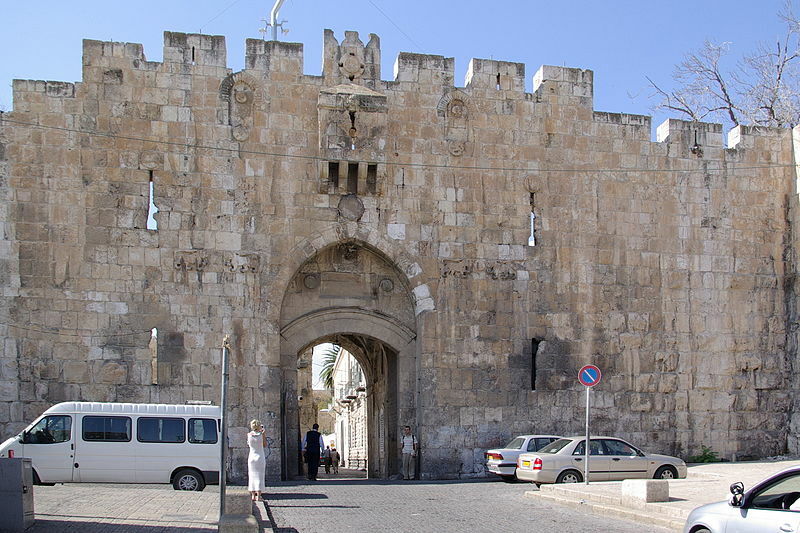 Seven open gates serve as points of entry into the Old City. 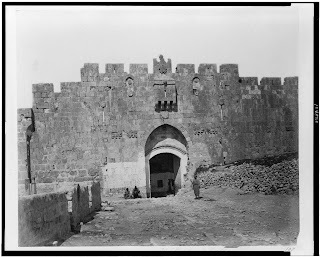 Several other gates, some dating back to the days of the Second Temple, are sealed. The Lions Gate is the only open gate facing east toward the Mt. of Olives. 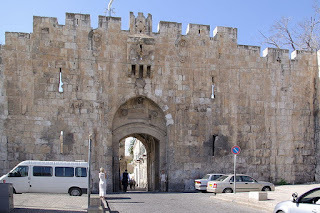 It stands adjacent to the Muslim Quarter of the Old City. The "lions" carved on both sides of the gate are actually panthers, the symbol of the Mamluk Sultan Baybars (1223-1277). The panthers were believed to have been part of a Mamluki structure and placed at the gate by Suleiman to commemorate the Ottoman victory over the Mamluks in 1517. 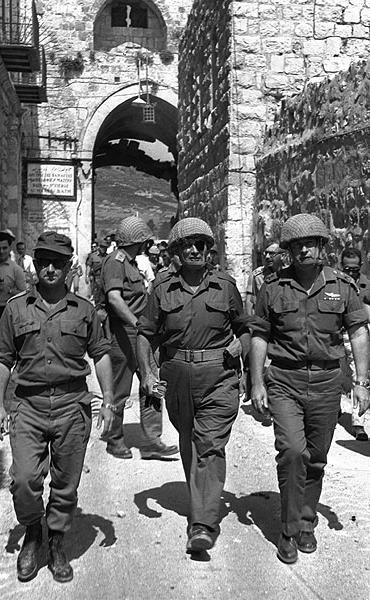 The Lions Gate was the point of entry for the Israel Defense Force's capture of the Old City in the June 1967 war. 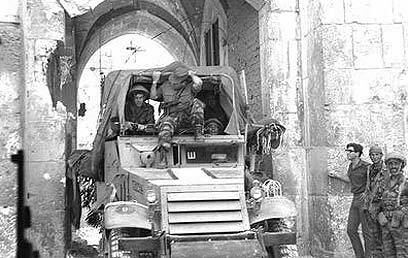 The Paratroop Brigade, commanded by Gen. Motta Gur and Uzi Narkis, led the forces through the Gate. Over the last four years the walls of the Old City have been repaired, restored and cleaned by the Israeli government in a $5 million project.